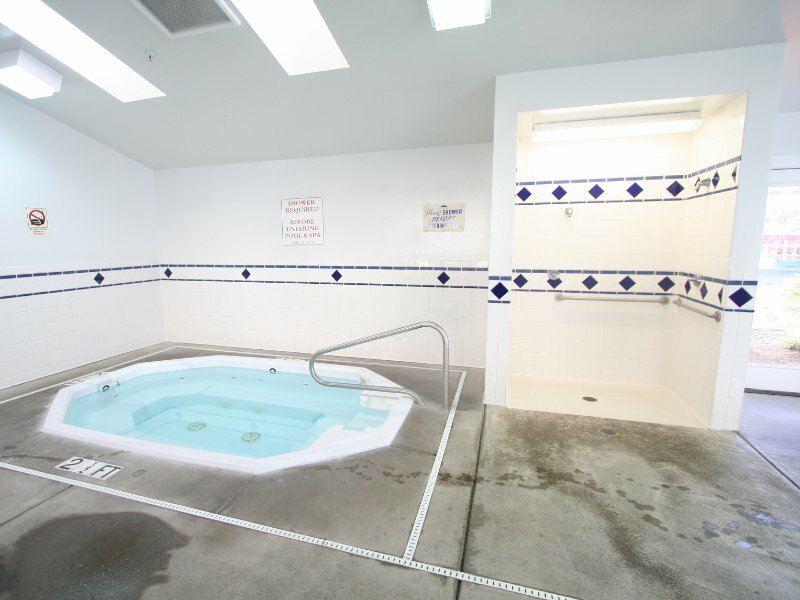 Even if mother nature is whipping up a storm outside, you can always find peace and relaxation during your beach vacation in our indoor heated pool and spa. 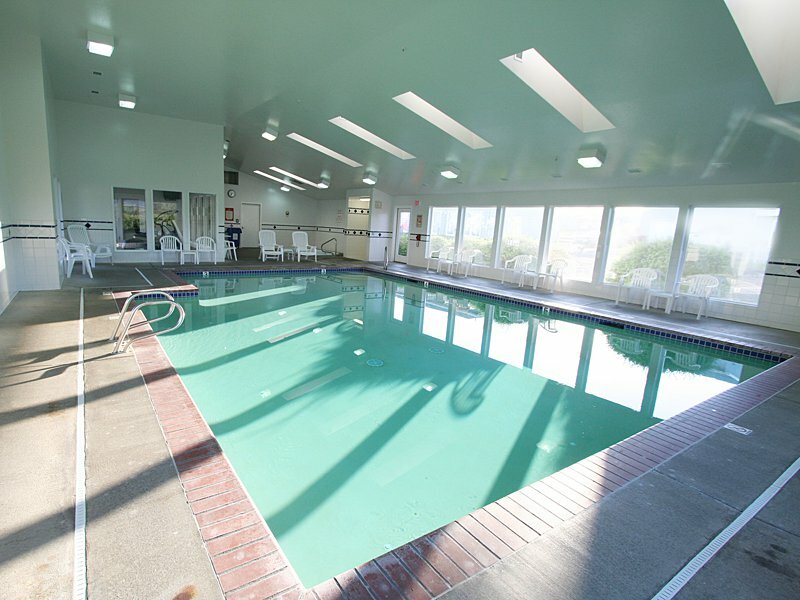 The pool features a full wall of floor-to-ceiling windows that, along with our bright skylights and sapphire blue and white tile, make the room a light and cheery place year-round. So if you’re looking for a place to stay with gorgeous ocean views and a spot for you and the kids to relax and have fun no matter the weather, you’ve found it. 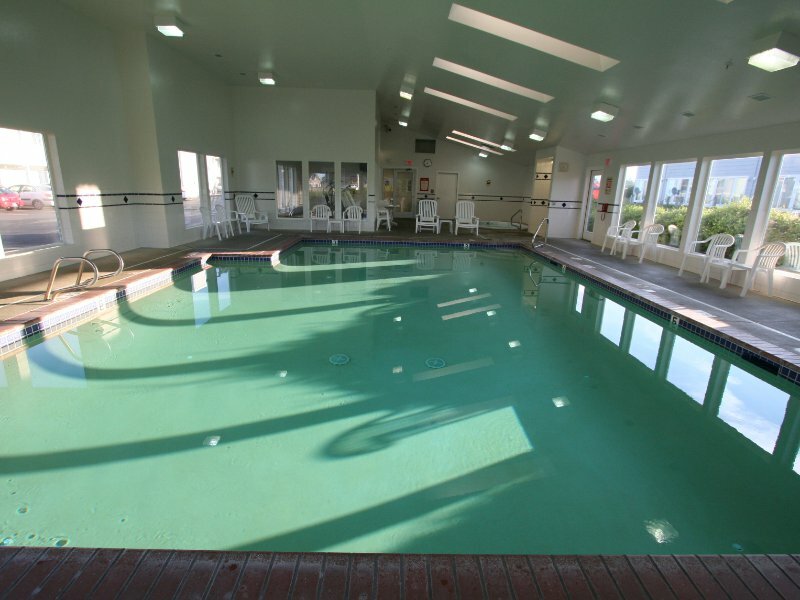 Pool and spa hours are 6:30am – 10:00pm.